It's best practice to take your jewelry off when in contact with water - especially when using cleaning products, showering or swimming in the ocean. Avoid using lotions, perfumes and hairspray while using wearing your jewelry as it may lead to premature tarnishing or damage to the stones. Your jewelry is best stored in the dust bag or box it was supplied in. Semi-precious stones may vary from images. They're natural products and we think this gives them added character and charm which makes them totally unique. 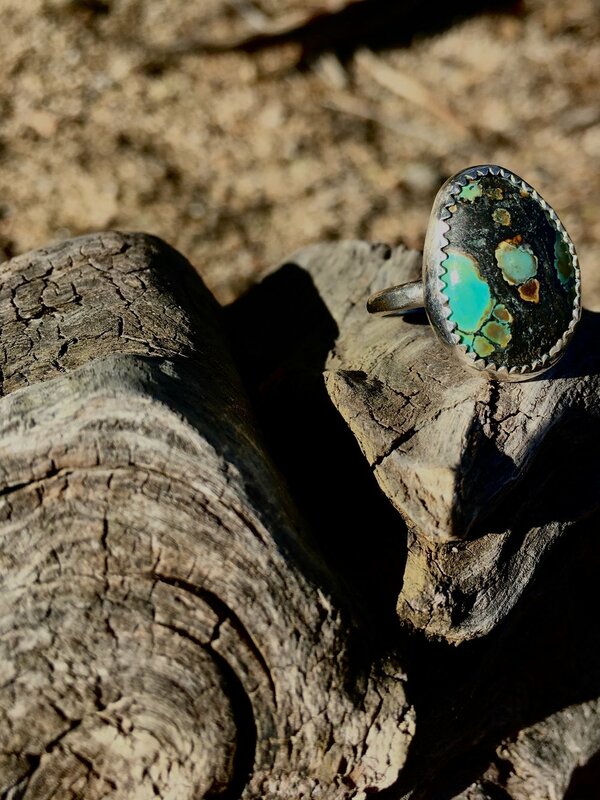 Turquoise specifically is sensitive to heat and if exposed to 250 degree Celsius heat, the color will turn a dull green. If exposed to prolonged direct sunlight, perspiration, oil, perfume, detergent or other chemicals, turquoise can suffer color deterioration. It's softer than many gemstones so should be stored separately to other gemstones to avoid scratches. With proper care turquoise can last many generations. Be careful when cleaning your jewelry. Steer clear of chemical cleaners. A soft cloth, some warm water and a mild detergent should do the trick. Please feel free to contact us with any inquiries into the proper care of your piece.